Gestamp, a Spanish supplier of metal auto parts, predicts that by 2015 China will become its third-largest market worldwide, after Germany and Spain. 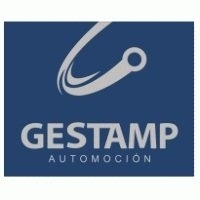 In 2015, as much as 10 percent of Gestamp's global revenue will be generated in China, CEO Francisco Riberas said. Last week, Gestamp opened a factory in Dongguan in south China's Guangdong province. It is the company's eighth factory in China. Gestamp expects its China sales this year to increase 26 percent to more than 500 million euros (3.88 billion yuan). In China, the company supplies automakers including PSA/Peugeot-Citroen, Volkswagen Group, Renault-Nissan, Volvo Car Corp., Ford Motor, General Motors, BMW Group, Daimler and Jaguar Land Rover.